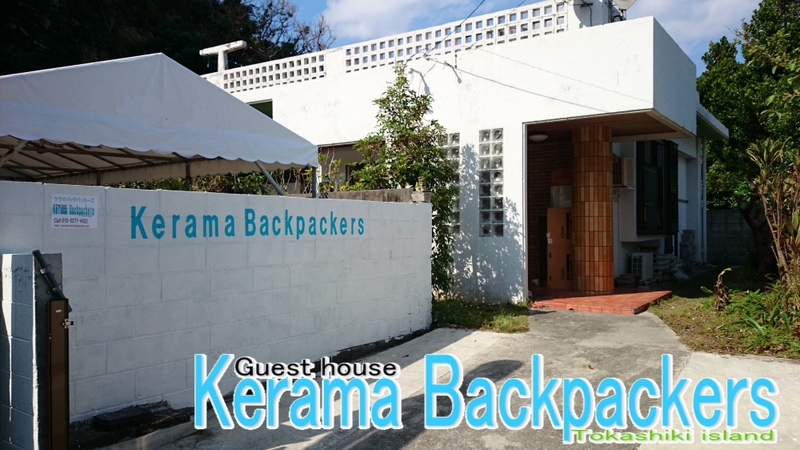 Kerama Backpackers is located on Tokashiki Island, an island in the Kerama Islands. The Kerama Islands were recently designated as Japan’s 31st National Park as of March, 2014. Please relax in a lot of nature. 新年明けましておめでとうございます。新年は1月7日までお休みになり、8日より通常営業になります。今年もよろしくお願い致します。Happy New Year. The New Year will be closed until 7th of January and will be open from the 8th. Thank you again this year. 大変申し訳ございません、冬休みの為に12/20から1/7まで、ケラマバックパッカーズはお休みとなります。ご迷惑をお掛けしますが、よろしくご理解をお願い致します。なお、冬休み期間中でも、お休み以外のご予約は受付ていますので、お気軽にメールにてお問合せ下さい。よろしくお願い致します。I'm afraid we will have a winter vacation from 20th of Dec to 7th of Jan.So, Kerama Backpackers will be closed.Thank you for your understanding. Copyright (C) kerama-backpackers All Rights Reserved.